After a year of work, including numerous meetings and consultations with key stakeholders, the SweetWater Board of Directors has approved a new three-year Strategic Plan for 2018 – 2020. Colleen adds SweetWater was fortunate to have the assistance our Strategic Plan Partner, M. Struthers & Co. 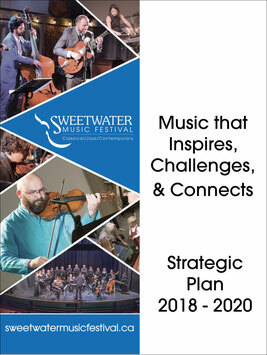 The complete Strategic Plan 2018 – 2020 can be found on the SweetWater web site under a new link, Our Mission, Vision & Plan . A special thanks to the SweetWater Board, volunteers, members, supporters and staff for helping to bring together this road map for SweetWater over the next three years.